Sri Lanka Wants Chinese Help To Recover Evidence Of "Assassination Plot"
Sri Lankan police on Tuesday won permission from a court to ask Chinese phone manufacturer Huawei to help recover data from a phone used by a police informant who has alleged a plot to kill President Maithripala Sirisena. Former Sri Lankan defence secretary Gotabaya Rajapaksa was also a target of the plot, Mr Kumara said. Officials at the Criminal Investigation Department of police on Tuesday told the court that some of Mr Kumara's phone data, which could be evidence, had been deleted and they needed Huawei's technical help to retrieve it. Thomas appeared in court on Tuesday and requested that he not remain in CID custody, saying there had been death threats against him by the CID. The magistrate denied Thomas' request. 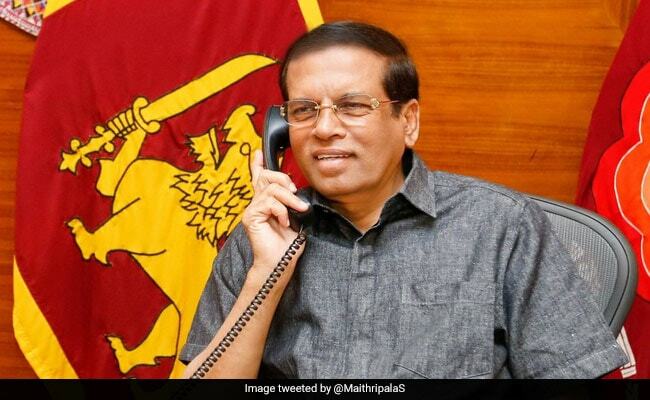 The alleged plot briefly threatened to cause tension between Sri Lanka and India, after a report that Sirisena had accused India's intelligence services of involvement - a claim New Delhi and Colombo have both denied.